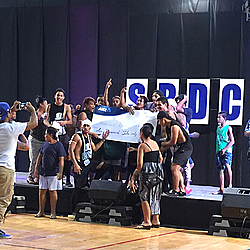 Samoa Best Dance Crew (SBDC) is sponsored by Samoa Broadcasting Corporation Ltd and held over the last three years in January. SBDC gives Samoan youth an opportunity to show their best dance moves off to their supporters at the NUS gym and also on TV One. The competition is held over three evenings with two elimination heats and then the grand finale this Saturday 16th January. 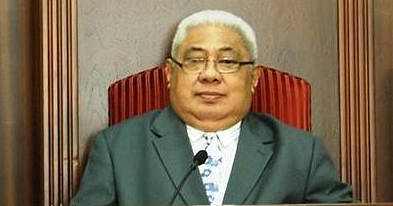 The judges for the SBSC are Tuilagai Seuili Allan Alo, Letisia Schwenke, and Tuala Joe Ponifasio. The judges have a wealth of experience in dance, performance and music. Of the 18hopeful groups that entered the competition, the first two heats eliminate eight groups and ten groups play off at the finals. On the final evening judge Seuili had this to say to the Crews before the event began… “Creativity, determination, hard work, endurance!!! Messages we as judges echoed at the Finalists Briefing at TV 1 for this Saturday's Samoas’ Best Dance Crew Competition! May the best team win! Good luck guys! The atmosphere at the NUS Gym was electric with an undertone that at any time, competing fans of the different groups could erupt into serious disputes. There were ‘dance off’s’ in the aisles and chanting from one side of the gym to the other. The Samoan youth dressed in their finest urban ghetto styles revealing how self-expression is now accepted in Samoa in certain areas. Young people have access to clothes and fashion genres not often seen on our streets, They were pumped up to support their village teams. The growth of Gangsta Rap, Hip Hop, Breakdancing, Drum and Base, ike other forms of music, cannot be understood unless it is examined in its historical and social context. Hip Hop started in the Bronx in the 1970’s, and it was a musical movement for the streets, for the young and angry, the drug and other underground cultures. Today Hip-Hop manages to appeal to listeners of all ages, and span numerous musical genres – including rap, rock, R&B, punk, jazz, indie, country, pop, electronica and gospel. These musical genres have seen an upsurge in global popularity and are now a major part of the music industry. Historically Hip-Hop culture was defined and embraced by young, urban, working-class African-Americans. Today it is internationally mainstream and popular with youth cultures everywhere. While some elements can be profane and glorify a macho, misogynistic mentality and extol drugs; other artists choose to feature socially conscious and politically orientated lyrics. Our Samoan youth connect with their role models who are black disenfranchised youth. They grew up with the musical Hip/Hop and rap greats of: Michael Jackson, Tupac, MIA, Jay-Z, Outcast, Kanye West, Eninem, Future, Chris Brown, Iggy Azalea, Nicki Minaj, Lil Wayne to name a few. 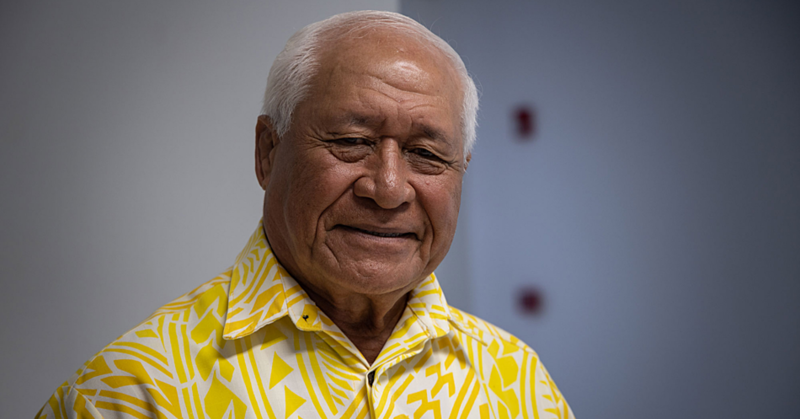 For our youth the rap and hip-hop culture offers empowerment and inclusion in a society that is dominated by matai and elders and demands quiet obedience of its youth. This competition allows youth freedom and an opportunity for self-expression and a release of much pent up energy. 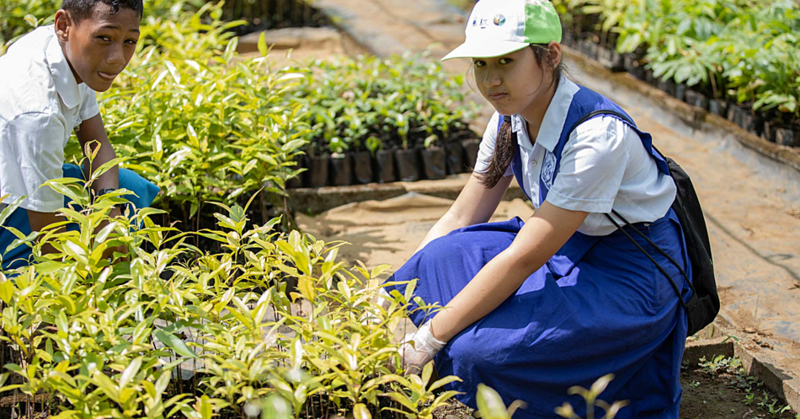 It also provides an opportunity for families and villages to support and admire the skills of our young people. At the SBDC competition I saw some extremely competent performances, complex choreography and great costuming that made the groups utterly professional. There were naturally those that stood out above the rest and unsurprisingly these groups came away with the prize money of $6,000. This year the top five dance crews of the ten in the finals were; 1st Unknown Crew – Vaimoso, 2nd Energy – Soosealalafaga, 3rd, Mai Camp- Leulumoega, 4th L.O.S. Texas – Magiagi, and 5th Luko Styler – Solosolo.